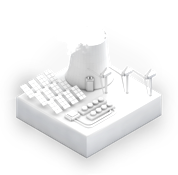 Power plants are often referred to as “the drivers of the economy”, which makes their construction and modernisation extremely important. For many years, Elnos Group has been active and successful in the field of revitalisation and modernisation of hydro and thermal power plants, as well as in the field of renewable energy sources (RES). 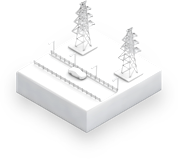 Power transformer stations are the key element for the transmission and distribution of electricity, and, as such, one of the crucial and strongest links in our portfolio. Extensive experience and a high level of expertise and commitment in this field of engineering have positioned Elnos Group at the place as one of the main partners of the energy transmission and distribution companies and private investors. In a period longer than a decade, Elnos Group has built and reconstructed thousands of kilometres of transmission lines at all voltage levels up to 400 kV. Our customers are national power transmission and regional distribution companies, as well as the leading investors in the energy production facilities. Exceptional professionalism, results and engineering capabilities in respect of transmission lines are best proven by numerous capital projects of strengthening energy transmission capacity. By implementing complex projects that contribute to the welfare of the society in a safe, efficient, and sustainable manner, infrastructure engineering creates new values for everyday life. Our experienced team of experts in the field of construction, rehabilitation, reconstruction, and maintenance of electrical engineering (EE ) systems for various networks of resources has an excellent reference list, which is, based on the number and diversity of projects, in the leading position in Elnos Group.